Published: Oct. 24, 2012 at 02:09 p.m. Updated: Oct. 24, 2012 at 04:57 p.m. 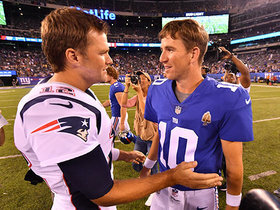 The 2012 NFL season is far from over, but it's never too early to look ahead. There figures to be several head-coaching vacancies following the season, so let's get a jump on examining some potential candidates for those jobs. I've come up with a list of seven names that will likely garner serious consideration for any head-coaching opportunities that arise following the season. 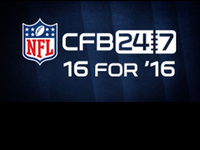 I've also included brief comments from sources inside the NFL about each of the seven candidates. Kelly has only been a head coach for four seasons at the collegiate level, but he has already established a sterling résumé. 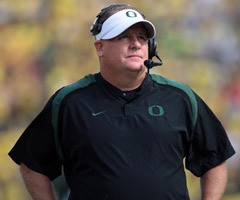 He has captured three Pac-10/Pac-12 titles and his team is currently undefeated and ranked No. 2 in the nation. 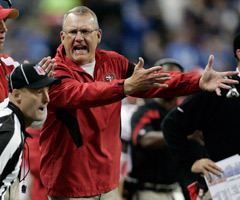 He turned down the Tampa Bay Buccaneers job last offseason, but will likely have another NFL opportunity in 2013. 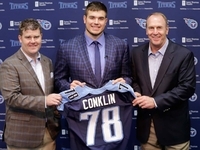 His up-tempo offense would need some alterations to work at the NFL level, but his organizational skills and creativity will be very attractive to NFL owners. NFC executive: "He runs the best practices I've ever seen. I would hire him in a second if I ever had the opportunity." The Redskins' offense has been the talk of the 2012 NFL season. Robert Griffin III has been outstanding, but the design of the Redskins' scheme has been terrific, as well. Kyle Shanahan is getting a lot of praise around the NFL for quickly developing RG3 and designing a creative offense to fit his skills. 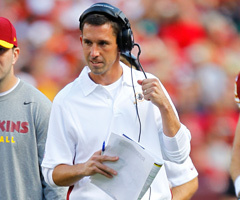 Shanahan also was very successful during his two-year stint as the Houston Texans' offensive coordinator. In 2009, the Texans finished with the NFL's fourth-ranked offense under his leadership. Despite being only 32 years old, the son of Mike Shanahan already has coached in the NFL for nine seasons. AFC executive: "Kyle is extremely smart and he's excellent with quarterbacks. He has all of his dad's qualities and he's going to be a great head coach." 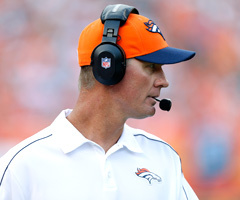 McCoy has 13 years of NFL coaching experience, including the past four as the Broncos offensive coordinator. 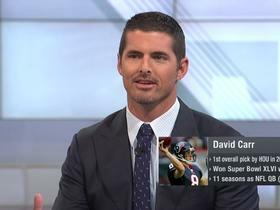 Last season, his reputation around the NFL soared as a result of his handling of the transition from Kyle Orton to Tim Tebow. He completely overhauled his scheme in the middle of the season to accommodate Tebow's specific skill set. The Broncos finished the season with the NFL's No. 1 rushing attack. 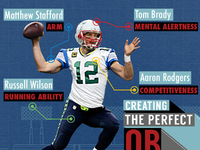 This season, he has smoothly transitioned his offense to suit Peyton Manning. They are currently ranked fourth in passing. Those rankings highlight McCoy's flexibility and willingness to adapt his scheme to his personnel. 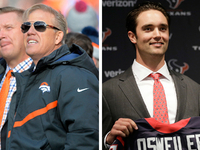 NFC personnel executive: "I don't know Mike personally, but I've taken notice of the job he's done in Denver. He deserves a lot of credit for their success in 2011." 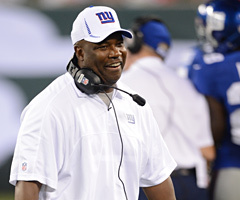 Fewell has done an outstanding job with the Giants. Their run to the Super Bowl last season was largely the result of his punishing defensive unit. He has overcome several injuries to key personnel and his reputation around the league is rock solid. He has interviewed for head-coaching jobs in the past, but those teams chose to go in a different direction. Many around the NFL believe he will not be passed over again. AFC personnel executive: "I've never heard anything negative about him. His results speak for themselves and he deserves a head-coaching opportunity." Seely has an excellent résumé and should garner consideration for any head-coaching vacancies following the season. He has coached in the NFL for 22 seasons, 10 of which were spent as the special teams coach under Bill Belichick in New England. He has transformed the 49ers' special teams unit into the NFL's very best. The fact that Baltimore's John Harbaugh has successfully made the transition from special teams coach to head coach should help Seely's candidacy. Former player: "Brad was very well respected in our locker room. He is very detailed and he knows how to communicate." 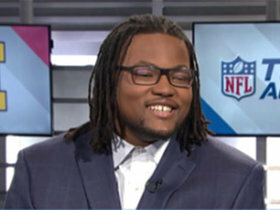 Horton has quickly established a strong reputation as one of the NFL's top defensive minds. Following a 10-year playing career, he's been a successful assistant coach for 18 years. 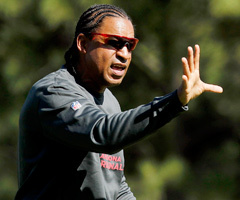 He served as the secondary coach for the Steelers prior to joining the Cardinals staff as defensive coordinator. The Cardinals have one of the NFL's top defensive units and Horton's scheme is broadly praised around the league. NFC personnel executive: "He's going to be impressive during the interview process. He's very smart and confident and he has the ability to relate to everyone." 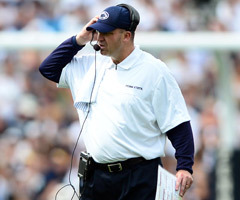 It is highly unlikely that O'Brien would depart Penn State after only one season on the job. He has an incredibly expensive buyout clause in his contract and that would be a major deterrent to potential NFL suitors. That being said, he is a very hot name around NFL circles. He was a successful assistant under Bill Belichick and he has shown incredible leadership in guiding the Penn State program through an extraordinarily difficult situation. Former AFC personnel executive: "Knowing Bill, he has too much integrity to leave those kids, but he's eventually going to be a very successful NFL head coach. He's very tough and organized and he's a winner."